VIA Public Media will host a special election debate between College professor Marc Friedenberg (D) and state Rep. Fred Keller (R) who are running to fill the vacant seat representing Pennsylvania's 12th Congressional District in the U.S. House of Representatives. Decades after the French revolution, political and social turmoil set the scene for Victor Hugo’s epic saga, Les Miserables. The blockbuster new 6-part dramatization begins April 14 on MASTERPIECE on PBS. VIA Public Media’s production division VIA Studios Global (VSG) will present the panel discussion “The Digital Age of Filmmaking 2.0” at the 2019 Northeast Pennsylvania Film Festival on Sunday, March 24 at 2:30 p.m. at the PNC Auditorium in the Loyola Science Center at the University of Scranton. 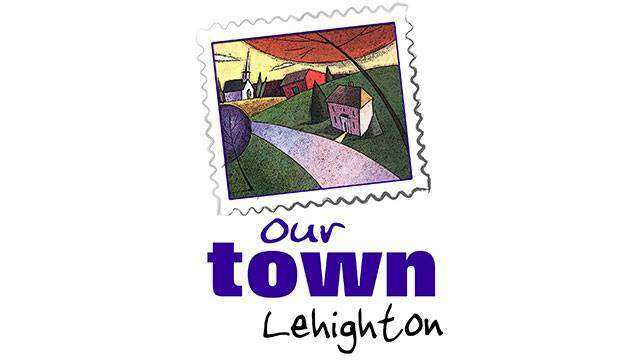 South Williamsport in Lycoming County will be featured in VIA's "Our Town" series. "Our Town South Williamsport" will be a "day-in-the-life" one-hour video scrapbook focusing on the people, places and happenings of South Williamsport, Pennsylvania, as seen through the eyes of its residents. Faculty members of Mansfield University will perform a varied program of classical music on the final Simply Grand Concert of the season Sunday March 24, at 3:00pm in the Sordoni Theater of the VIA Public Media Studios. Music for woodwinds and vocal music of J.S. Bach are featured. The city of Nanticoke in Luzerne County will be featured in VIA Public Media’s "Our Town" series. “Our Town Nanticoke” will be a "day-in-the-life" one-hour video scrapbook focusing on the people, places and happenings of Nanticoke, Pennsylvania, as seen through the eyes of its residents. It is 1848, and revolution is breaking out across Europe. In Britain, one woman stands between order and chaos, but Queen Victoria faces a crisis that threatens to end her reign. Victoria, Season 3, premieres January 13 at 9 p.m. on MASTERPIECE on PBS. It is 1848, and revolution is breaking out across Europe. In Britain, one woman stands between order and chaos, but Queen Victoria faces a crisis that threatens to end her reign. Victoria, Season 3, premieres January 13, at 9 p.m. on MASTERPIECE on PBS. The 2018 WVIA Congressional Debates will broadcast live from the Sordoni High-Definition Theater at the WVIA Studios in Pittston, PA on Monday, October 29 and Tuesday, Oct. 30 starting at 7 p.m. each night on WVIA TV. The debates will also be simulcast live on WVIA FM and streamed live at http://www.wvia.org/home/. Nanticoke in Luzerne County will be featured in WVIA's "Our Town" series. "Our Town Nanticoke" will be a "day-in-the-life" one-hour video scrapbook focusing on the people, places and happenings of Nanticoke, Pennsylvania, as seen through the eyes of its residents. Producer/Directors in WVIA Public Media’s production division, Via Studios Global in the Wilkes-Barre/Scranton, Pennsylvania television market have received 2 nominations as the Mid-Atlantic Chapter of the National Academy of Television Arts and Sciences announces the nominees for the 2018 Mid-Atlantic Regional Emmy® Awards which will be presented Saturday, October 13, 2018 in Philadelphia, PA.
“Our Town Lehighton”, the latest edition of WVIA’s "Our Town" series premieres Thursday, May 10 at 8 p.m. on WVIA TV.